High School students from across the United States in the atrium of the Austrian Embassy. 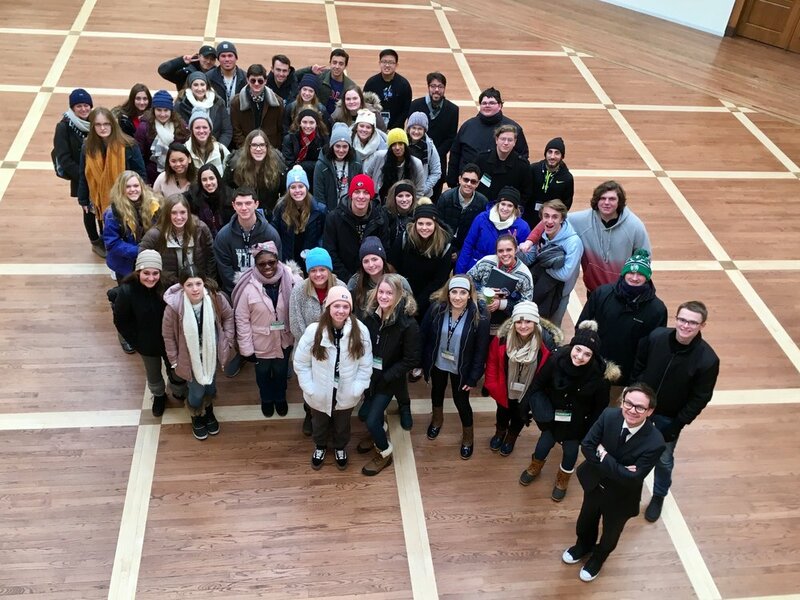 On January 22, 2019, the Embassy welcomed some 50 high school students from across the country to talk about Austria. After a presentation ranging from Austrian historical milestones, the political system, to Austrian business in the United States, the students also discussed aspects of Austrian life, as well as the work of the Embassy in the United States. The students, mostly from the Southern United States, visited Washington, DC as part of a program provided by Close Up Foundation.